Your support sends a strong message to our students and the community of your commitment to the mission of Black Hawk College. Faculty and staff members are invited to make a tax-deductible donation to the annual campaign—Step Up for Students. Although the Employee Campaign kicks off each spring, your support is welcome any time of the year. 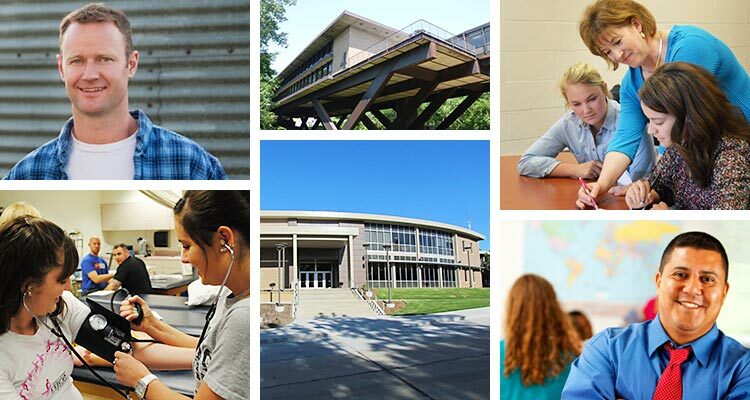 Why Should I Support Black Hawk College? Your participation sends a powerful message of commitment and support to our students and to our community. Our hope is to reach 100% employee participation since you know firsthand the importance of supporting our students. That’s up to you. Your unrestricted gift supports scholarship assistance, classroom equipment, technology upgrades, campus beautification projects and more. Regardless of the amount of the gift, donors are encouraged to participate. Contributors are acknowledged on the Black Hawk College Foundation website and in the Annual Report unless anonymity is requested. Simply use download our donation form, complete and return it to the Black Hawk College Foundation office. Or stop by our offices. Payroll deduction, one-time gifts, monthly and quarterly gifts can all be arranged by contacting the Foundation office at 309/796-5052. All gifts are confidential.